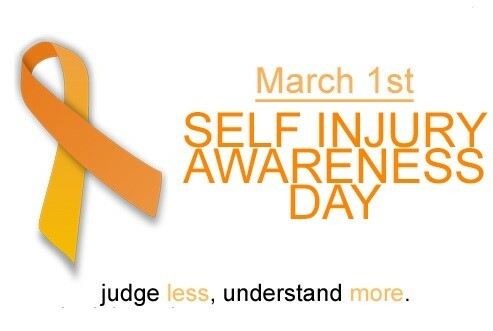 1st March is Self-Injury awareness day, a day for raising awareness helping to break the silence for people who may need support and empathy. For 16 years Self Awareness day, as an international event, means we all take the time to recognise the signs of self-injury and help those around us. It is important to know that if you feel alone or know someone who experiences self-injury, there are support groups out in the community, there are networks online and there are organisations ready and willing to help. Self-Injury Guidance & Network Support can be found on the internet via http://www.lifesigns.org.uk/siad/ . They provide incredibly important information in how to be understanding and reduce the number of people who are feeling alone who suffer in silence. Here at VP forensic we support people in non-judgmental ways who feel they are alone and suffer in silence. We provide support workers to help get them into community projects, help them to engage in day to day activities and help them to feel like they have someone who they can talk when they feel alone.